Molinaro, Dennis. "Deportation from Canada". The Canadian Encyclopedia, 11 August 2017, Historica Canada. https://www.thecanadianencyclopedia.ca/en/article/deportation. Accessed 25 April 2019. The deportation of the Acadians by the British in 1755. One of the earliest, most notorious examples of deportation in Canadian history was the expulsion of the Acadians, the original French settlers of the Maritime provinces. The Acadians had a close relationship with the Mi'kmaq in the region. Despite the conflicts between the French and British during the 18th century, the Acadians sought to remain politically neutral. 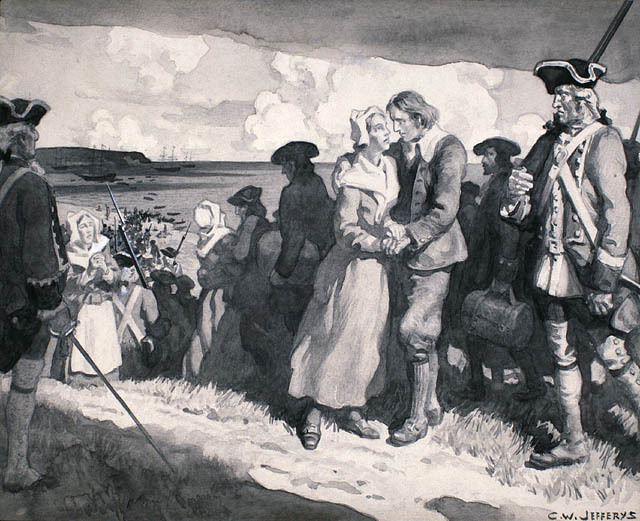 After the War of the Austrian Succession in 1745, the British began to view the Acadians as a military threat because of their French and Mi'kmaq ties. 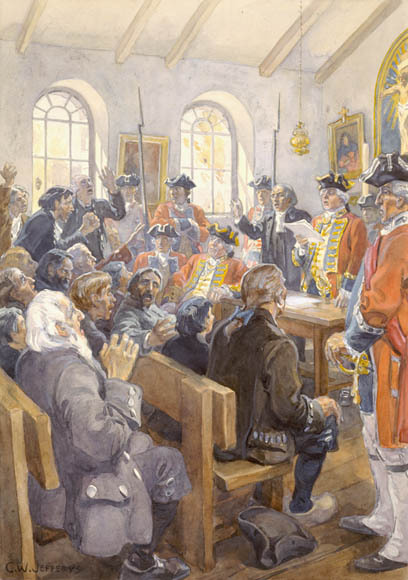 The Acadians' initial refusal to swear an oath of allegiance to the British Crown sealed their fate. Under orders from Governor Charles Lawrence, they were forcibly and brutally deported from the region from 1755 to 1762. Some historians view the deportations as an unfortunate consequence of military strategy, while more recently others consider it ethnic cleansing. After Confederation, much of Canada's early immigration legislation was based on earlier, colonial-era Quarantine Acts. These had been drafted to limit the entrance of sick immigrants during the typhus epidemic that struck the British North American colonies in 1847. The Immigration Acts of 1869 and 1872 expanded the requirements for entry and deportation to deal with social issues as well as health. The 1869 Act allowed the barring of "paupers." The 1872 Act expanded this, enabling the government to "prohibit the landing in Canada of any criminal, or other vicious class of immigrants." The government also had the power to ensure "their re-transportation to the port in Europe from whence they came," should they enter the country. The government acted on these powers through the late 19th and into the 20th century, with poor immigrants often being the target of such laws. Without a formal system for deportation, the immigration department sought the aid of other industries. The Canadian Pacific Railway, for example, was often called upon to remove the poor. Deportation became known as "repatriation," and was an informal and 'extralegal' way of shipping out the poor. By 1895, deporting the poor or the infirm was considered "the simplest and cheapest mode of dealing with them." The reasons for deportation also began to include what the state defined as moral deprivation. Immigrant women were often targeted by immigrant authorities – any immigrants believed to be engaged in prostitution, or who became pregnant outside of marriage, could be subject to deportation as "fallen girls." The immigration acts of 1906 and 1911 expanded and formalized deportation powers, to deal with immigrants deemed "undesirable" by the government. The 1906 Act barred anyone who was "feeble-minded," "idiotic," "epileptic," "insane," "deaf," "dumb," "blind," "destitute," "vagrant," or "criminal." Following the model of the pre-Confederation Quarantine Acts, the 1906 Act barred anyone who had a contagious disease. And like the 1869 and 1872 Acts, anyone who became a "public charge" (in need of government support) within two years of immigrating to Canada could be deported. The majority of deportees throughout the 19th and early 20th century were British subjects, as the majority of immigrants during this time came from the British Isles. The length of time for acquiring permanent resident status was extended from three to five years, and any immigrants deported within this time became the responsibility of the shipping company that first brought them. This provided the government with a strong incentive to deport people quickly. When a person was ordered deported, a hearing was called and the immigrant could have a lawyer represent them, although most could not afford one. Immigration and deportation are administrative matters, not criminal ones – a fact that allowed many of these hearings to remain free from public scrutiny and the courts. Throughout the First World War deportation policy was closely tied to race. It also still targeted immigrant women on the basis of morality and would continue to do so well after the Second World War. Deportation provided a way of enforcing what was at times a racist immigration policy. The Komagata Maru incident in May 1914 is illustrative of this. The Komagata Maru, carrying 376 Indian immigrants, landed in Vancouver. The ship was captained by Gurdit Singh, a political activist and member of the radical Ghadr party, which sought the end of British rule in India. The ship was held in dock for months as passengers ran out of food. 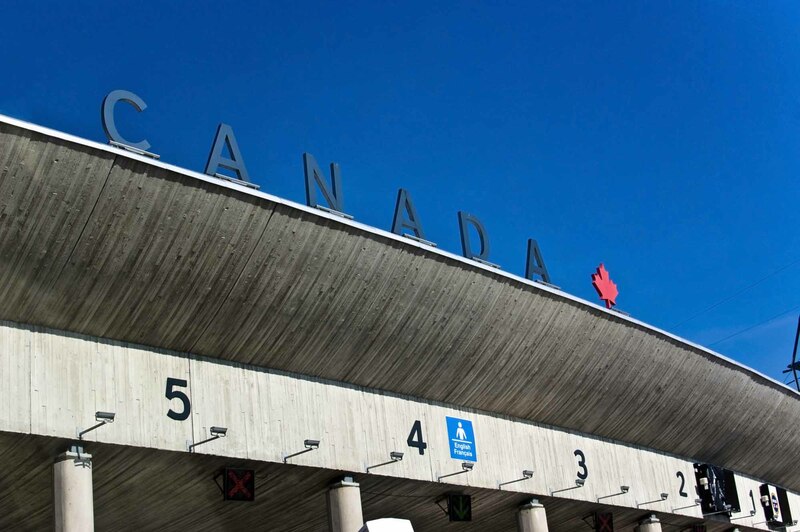 Singh sought to prove that the "Continuous Journey" clause of Canada's immigration policy was racist, as he believed Canadian authorities would not allow the passengers to disembark despite them being British subjects. Singh fought for the rights of the passengers but lost his battle in a British Columbia court, and the ship and the bulk of its starving passengers were deported. 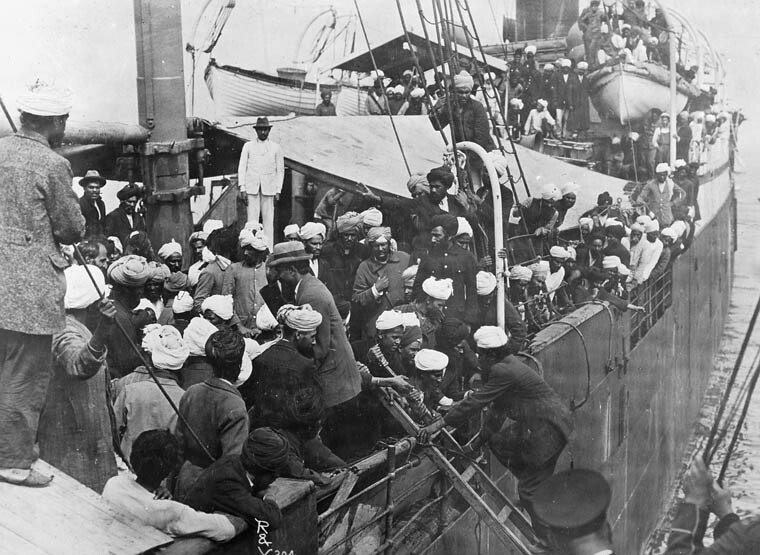 Passengers on the SS Komagata Maru, 1914. 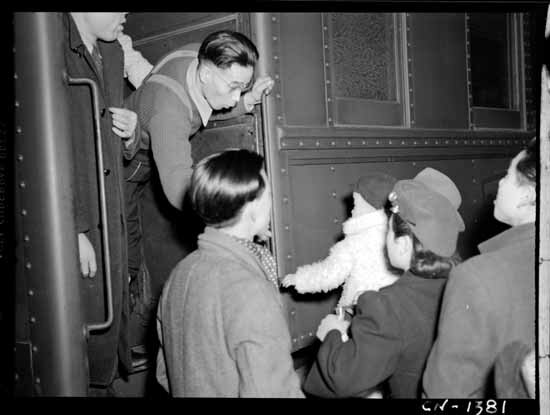 Deportation during the Second World War greatly affected immigrants of Japanese origin in BC. During the war, Japanese immigrants and Canadians of Japanese descent were subject to forcible relocation and internment. After the war, the Japanese affected by these policies were given a choice of resettlement outside BC or deportation to Japan. Approximately 4,000 were deported. During the First World War, particularly after the Russian Revolution of 1917, deportation included the removal of radical anarchists or communists who were not naturalized citizens and were considered a threat to security. Under the powers of the War Measures Act, deportation affected immigrants from Germany and the Austro-Hungarian empire, and immigrants who were part of radical left-wing political parties that opposed the war, such as the Social Democratic Party (SDP). Deportation of socialists, communists, and anarchists continued after the war during Canada's first anti-communist "red scare," and culminated in the arrests that followed the Winnipeg General Strike of 1919. In the 1930s, as the Great Depression intensified, the door to immigration was firmly shut, but deportation accelerated. Any immigrant who required public assistance was deported, as were unemployed immigrants. Labour groups and government opposition parties opposed the tactics of Prime Minister R.B. Bennett's government, claiming that immigrants were welcomed into the country for their labour but then ejected when they fell on hard times through no fault of their own. Most of the deported were British subjects. The government also increased its deportation of radical political challengers during this period. After the Communist Party of Canada was charged and convicted in 1931 with seditious conspiracy and being an "unlawful organization" under the Criminal Code, hundreds of members of the party were deported. During the Cold War, more immigrants were deported because of their political beliefs. Deportation was tied to an immigration and refugee policy that favoured anti-communists. Political scientist Reg Whitaker has noted that during the Cold War, Canada preferred to accept refugees from communist countries over refugees fleeing fascist or anti-communist dictatorships. Immigrants who were communists or were suspected of being communists were also deported in these years. Canadian citizenship and passports could also be revoked by the government because of an immigrant's political beliefs. 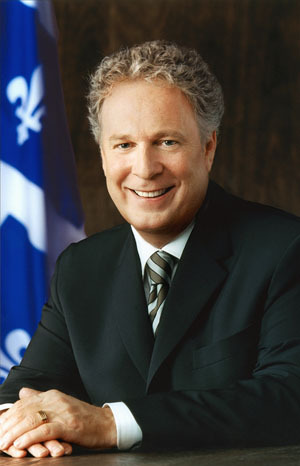 After the terror attacks on the United States on September 11, 2001, Canada enacted tough new laws to fight and deter terrorism and suspected terrorists. The Anti-Terrorism Act of 2001 and its 2013 version, the Combatting Terrorism Act, gave authorities power to detain people with suspected links to terrorism for up to 72 hours without a formal arrest. They also created investigative judicial hearings, or secret court proceedings, to investigative suspected terror activities. Although these laws can be used against immigrants – possibly leading to deportations – they can also be applied to all Canadians whether immigrants or not. The Strengthening Canadian Citizenship Act of 2014 gave the government added powers to strip Canadian citizenship from anyone with dual citizenship (including immigrants) who had been convicted of terrorism or other serious crimes such as spying or treason. In 2002, Syrian immigrant and Canadian citizen Maher Arar was detained during a travel stopover in the United States and deported to Syria, where he was imprisoned and tortured, before being returned to Canada and exonerated. Although not deported directly by Canada, his ordeal was a result of faulty information shared with US officials by the RCMP. Arar received an apology and compensation from the Canadian government for his suffering. The RCMP was severely criticized for its role in Arar's improper deportation. 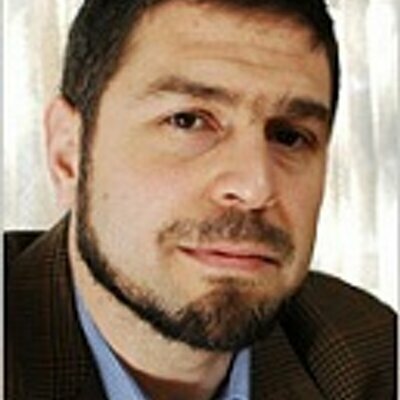 In 2002, Canadian Maher Arar was wrongly accused of being a terrorist and sent to Syria, where he was imprisoned and tortured. In 2017, Canadian immigration authorities were forced to deal with a sudden influx of several thousand migrants, many originally from Muslim countries, entering Canada illegally from the United States. The administration of US President Donald Trump, and its anti-Muslim threats and policies, was blamed for prompting the migrants' move from the US to Canada, which was seen as a more welcoming country. However, the influx of asylum seekers presented a problem for Canadian officials, who were required to investigate and determine which of the migrants were legitimate refugees and whether any should be deported – either back to the US or to their original home country. An opinion poll in the winter of 2017, at the height of the influx, suggested that about half of Canadians supported the deportation of anyone living illegally in the country. Only a third of those surveyed said illegal migrants should not be deported but allowed to stay. See also Immigration Policy in Canada. Donald Avery, "Dangerous Foreigners": European Immigrant Workers and Labour Radicalism in Canada, 1896-1932 (1979); Norman Buchignani, et al, Continuous Journey: A Social History of South Asians in Canada (1985); Barbara Roberts, "Shovelling Out the 'Mutinous': Political Deportation from Canada Before 1936," Labour/Le Travail (Fall 1986), Whence They Came: Deportation from Canada, 1900-1935 (1988); Reg Whitaker, Double Standard: The Secret History of Canadian Immigration (1987); Ken Adachi, The Enemy That Never Was: A History of the Japanese Canadians (rev. ed. 1991); John Mack Faragher, A Great and Noble Scheme: The Tragic Story of the Expulsion of the French Acadians from Their American Homeland (2005); Ann Pratt, Securing Borders: Detention and Deportation in Canada (2005); Franca Iacovetta, Gatekeepers: Reshaping Immigrant Lives in Cold War Canada (2006); Yasmeen Abu-Laban and Nisha Nath, "From Deportation to Apology: The Case of Maher Arar and the Canadian State," Canadian Ethnic Studies 39, 3 (2007); Dennis Molinaro, "'A Species of Treason?' Deportation and Nation-Building: The Case of Tomo Čačić 1929-1934," Canadian Historical Review (March 2010).